Dec. 2014, Best Under A Billion’ award from The Deputy Prime Minister and Industry Minister of Thailand. Nov. 2014, Students visit at our Solar Power Plant at Rajgarh. 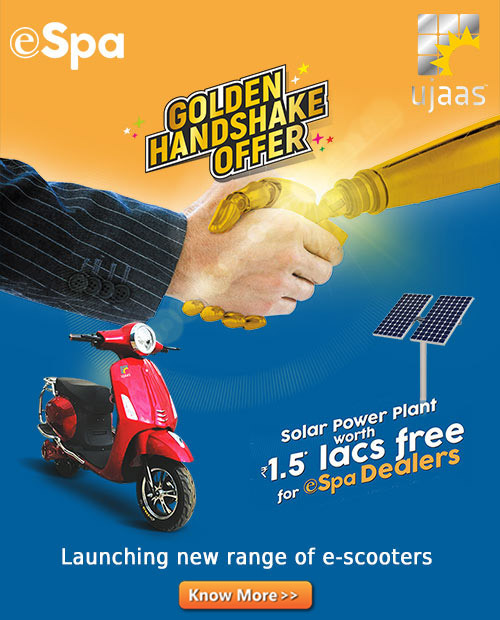 Nov. 2014, Ujaas participate in Intersolar exhibition @ Mumbai at M P Pavilion !!! Nov. 2014, Our JMD Mr Vikalp Mundra addressed on Large Scale P V Systems Field Experience Intersolar @ Mumbai !!! Nov. 2014, Catch Out Our JT. MD Mr. Vikalp Mundra ‘s Telephonic interview on CNBC TV. Nov. 2014, News Coverage of Ujaas in Nasik. Oct. 2014, Our JT MD’s interpretation on “Developers Increasingly turn to Third-Party PPAs” in Renewable Watch Magazine. Aug. 2014, India’s Fastest Growing Company!!! Aug. 2014, Ujaas Energy Ltd Commissions First solar PV power plant in UP. Aug. 2014, Ujaas Made it to Forbes Asia’s 200 Best Under a Billion dollar Companies list..! July. 2014, Business fastest growing co. This new in magazine Business World. July. 2014, Telephonic interview of our JT. MD MR. ANURAG MUNDRA. Jun. 2014, Key challenges facing the growth and success of RECs market in India, in the issue of Smart Energy Magazine. Apr. 29 2014,The Economic Times Wealth, achieve Rs.500 crore from Rs.20,000. Apr. 21 2014,The Economic Times Wealth,Powered by solar energy. Apr. 2014, Ujaas to add 200 MW solar capacity in FY14. Apr. 21 2014, Inflated bills? Now, generate power on your rooftop. Mar. 2014, Financial highlights year ended Mar. 31st, 2014. Mar. 2014, Energetica- Industry Jewels. Mar. 2014, Ujaas revenue rises on solar plant sales. Mar. 2014, Ujaas energy to light up city. Mar. 2014, Powered by the sun, Ujaas touches the sky. Mar. 2014, Ujaas scores solar MW century in Madhya Pradesh. Mar. 26 2014- Bloomberg business week- Ujaas sees sales rising as tax benefits lure investors to solar. Mar. 2014, Electrical monitor – The solar power industry has a bright future in india. Feb. 2014, Importance for more solar power. Feb. 2014, Jt. MD Mr. Vikalp Mundra participated in Madhya Pradesh Solar Development summit – 2014 as a key Speaker. Jan. 2014, Enforcement of RPOs can boost solar power. Jan. 2014, Renewable more NPAs.